WASHINGTON ― The Justice Department’s top oversight official is set to release a report slamming an FBI official PresidentDonald Trumphas portrayed as a Hillary Clinton stooge — for allegedly authorizing leaks of information that hurt Clinton’s campaign. Trump and his supporters have used the fact that former FBI Deputy Director Andrew McCabe’s wife ran for a state Senate seat as a Democrat to paint him as a Democratic partisan out to get Trump. Despite irrefutable evidence that the bureau’s public actions before the election actually hurt Clinton, Trump defenders on Capitol Hill and on Fox News have spun up a narrative alleging that the FBI leaked information ahead of the election to damage Trump. Thelong-anticipated report from the Justice Department’s inspector general― likely to be released this month or next ― could further undermine that already ridiculous claim. Trump and his allies have suggested that McCabe leaked information that hurt Trump and helped Clinton. But the IG’s forthcoming report is set to reveal the opposite: McCabe authorized leaks that damaged Clinton and aided Trump. 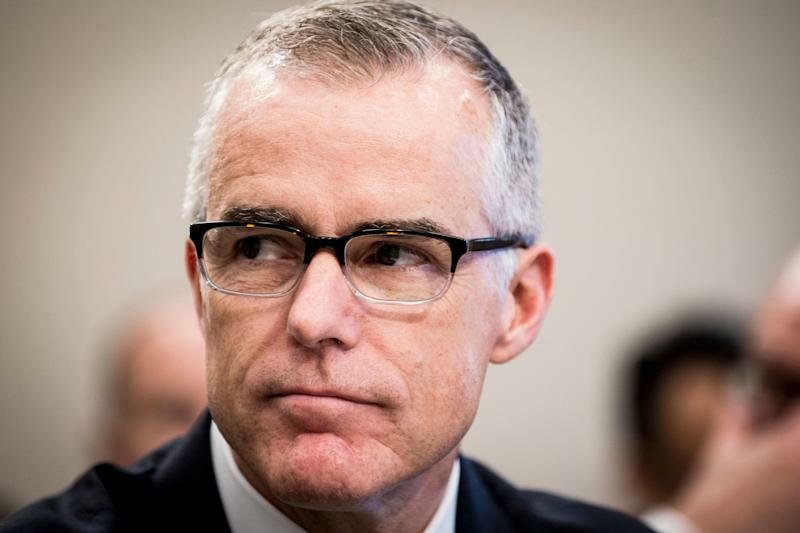 The IG, who has been looking into the FBI’s handling of the probesince before Trump’s inauguration, will criticize McCabe for authorizing discussions with a Wall Street Journal reporter for anOct. 30, 2016, story that suggested President Barack Obama’s Justice Department was improperly pressuring the FBI to drop a probe of the Clinton Foundation, The New York Timesreportedon Thursday night. The Oct. 30, 2016, WSJ story portrays McCabe as caught between FBI agents who wanted to push the Clinton Foundation investigation and Justice Department officials upset the probe was being pursued so close to the election. FBI texts disclosed to Congress revealed the backstory for this piece that the public doesn’t often get to see. The textsshowthat Page talked to then-Wall Street Journal reporter Devlin Barrett, a well-sourced reporter on the DOJ beat who is now at The Washington Post. It was clear from the texts that their conversation had high-level authorization within the bureau, as the FBI’s top spokesman was on the call along with Page and Barrett. The call was likely arranged as part of an effort to push back on aprior WSJ story McCabewas upset about. That article had raised questions about his oversight of the Clinton probe because his wife’s failed state Senate campaign had received money from Clinton ally Terry McAuliffe at a time when McCabe had no involvement with the Clinton investigation. Given the attacks against him, it would make sense that McCabe, whovotedin the 2016 Republican primary, would want to push back on the notion that he was in the tank for Clinton. But it would be odd if the IG report faults Page for talking with a reporter with the permission of her boss in a phone call that was monitored by the FBI’s chief of public affairs. Criticizing McCabe for authorizing Page to talk about an ongoing investigation seems like a logical outcome of the IG probe. Although it’s tempting to try and read any actions taken by the FBI ahead of the election in a purely political light, the chief ideological commitment of many FBI employees ― despite thebureau leaning conservative overall ― is to the organization, its image and its prerogatives. The chief motivation for disclosing information on the Clinton Foundation investigation likely wasn’t damaging Clinton or helping Trump, but protecting the FBI and McCabe from Justice Department interference. Top bureau officials, like most people at the time, believed that Clinton was going to win the election. But they didn’t want the public, and Republicans on Capitol Hill, thinking they let Clinton off the hook easy. They just didn’t see Trump coming. Ryan Reilly is HuffPost’s senior justice reporter, covering the Justice Department, federal law enforcement, criminal justice and legal affairs. Have a tip? Reach him at ryan.reilly@huffpost.com or on Signal at 202-527-9261.